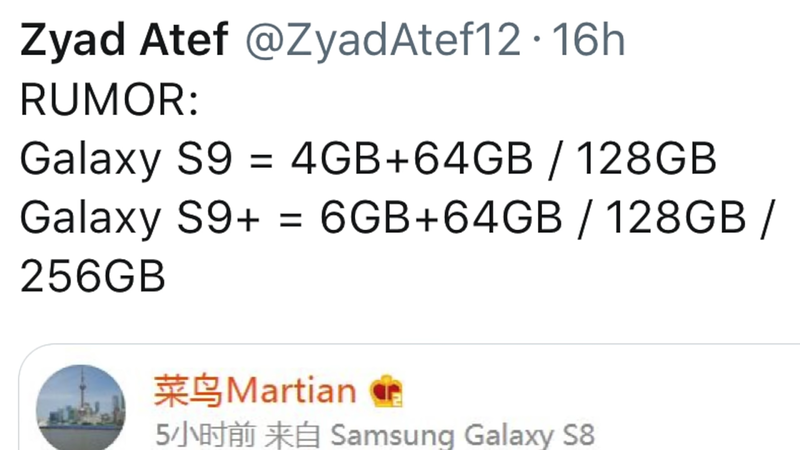 NOTE: These are not the Samsung Galaxy S9 official specifications. These are just my opinions after perfectly scrutinising the Galaxy S8, and reading a ton of leaks and news concerning the Galaxy S9. 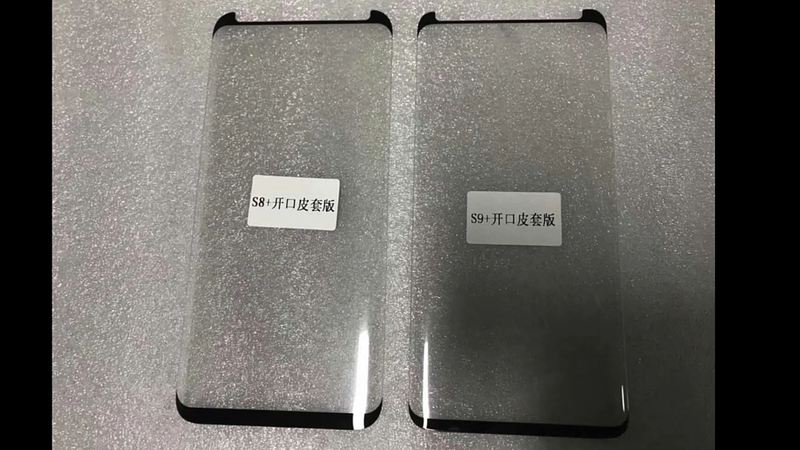 There have been so much rumors circulating around the internet lately, of how the Galaxy S9 is going to look, most leaks coming from Samsungmobile.news, but one thing we know for sure is that, Samsung is using the S9 to correct the mistakes made in the S8. 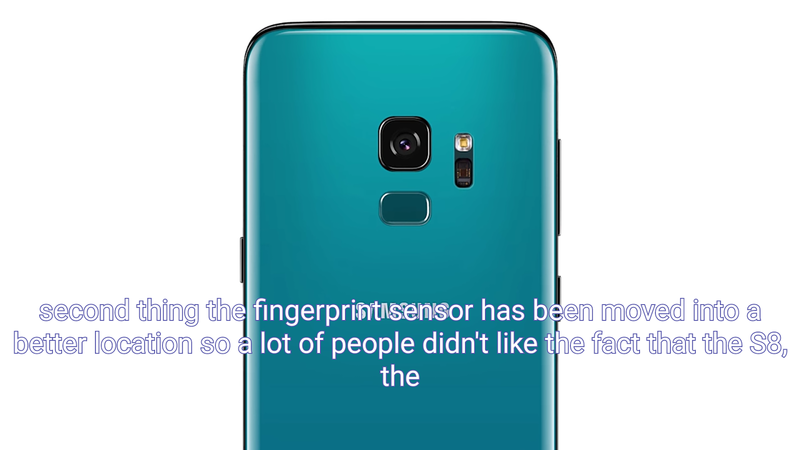 So the S9 will have its fingerprint reader directly below camera, instead of at the side, which gave a lot of reasons not to buy the S8. 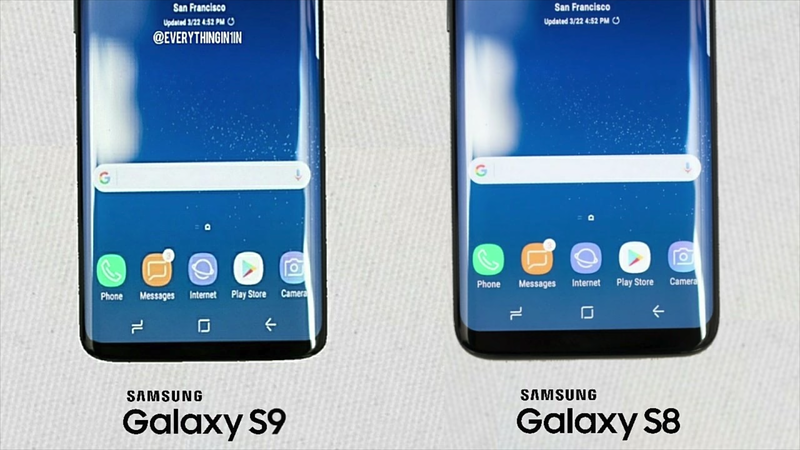 Another significant change which we are not so sure of, is that the bottom bezels on the S9 will be significantly reduced, compared to that of the S8, which will result to a more smaller device in height, and a bigger screen estate. TIP: Samsung did well to still include a 3.5mm headphone jack, at this era when headphones jack is slowly becoming a thing of the past... Thank you Samsung for that kind gesture. 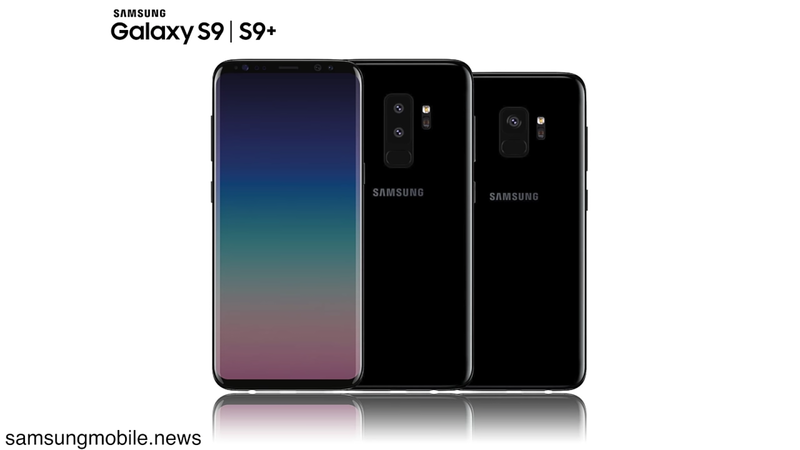 Sorry i forgot to tell you that the S9 is coming in two variations, the standard S9 and the S9+. 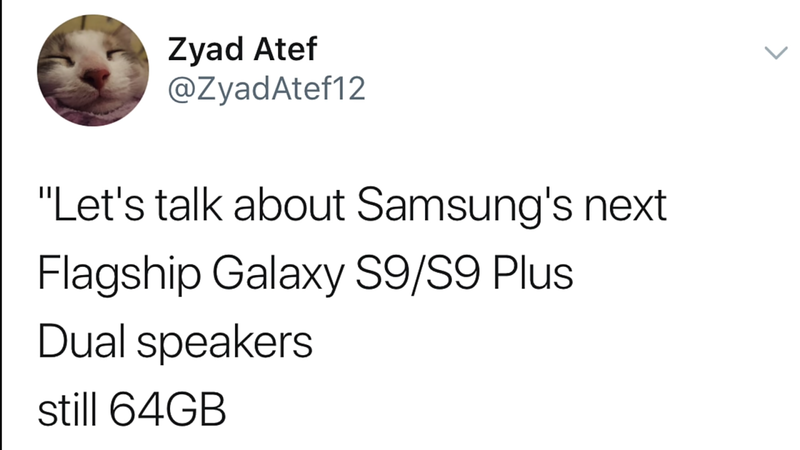 So with that, Samsung is giving us a hard time to decide on which one to buy. The S9 will be coming with a single 16mp Camera at the back, while the S9+ will be coming with a double camera setup, 16mp + 16mp = 24mp and another 24mp front facing camera for both variants. We can't tell for now if the single camera on the standard S9 can achieve portrait effects, but Google proved that to us with the Google Pixel 2. 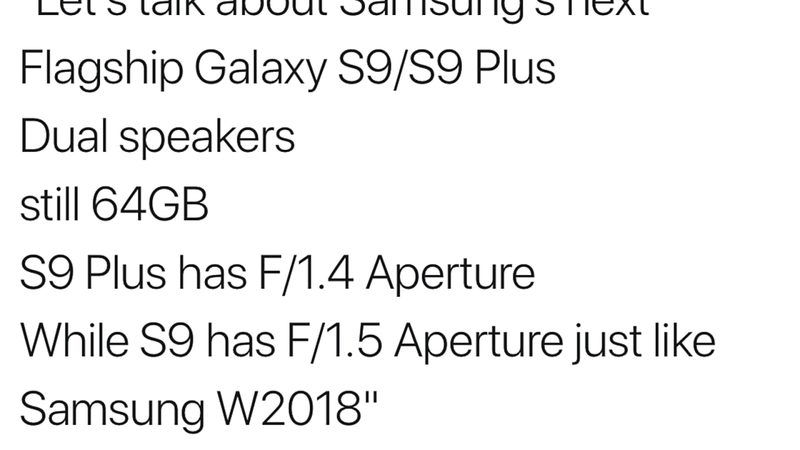 TIP: The S9 will feature an F1.5 aperture, while the S9+ will feature an F1.4 aperture, which makes it ideal for some serious low light shots, and will probably make the S9 the best camera phone in the market. 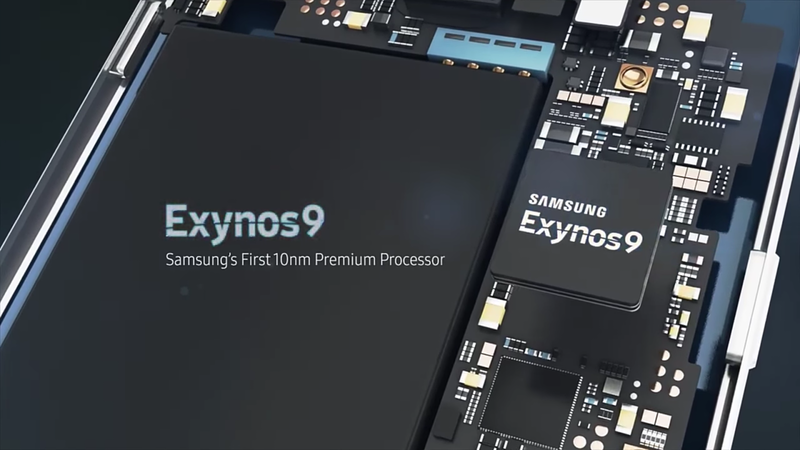 The next Samsung flagship will be launching with an all new Samsung in-house processor, the Exynos 9 (9810), while some locations will be getting the Qualcomm Snapdragon 845 variant. The Exynos processor will bring massive AR (augmented reality) capabilities to the Galaxy S9, and Samsung is taking their face recognition game to an all new level with this Chipset. 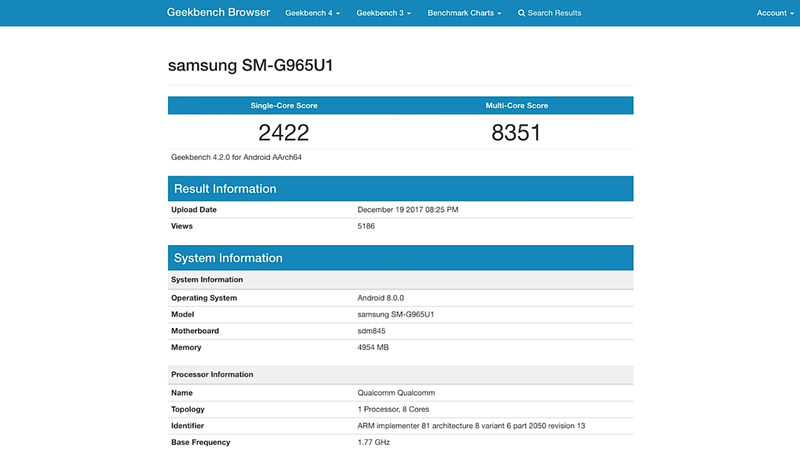 And here are some geekbench scores of the snapdragon 845 chipset. 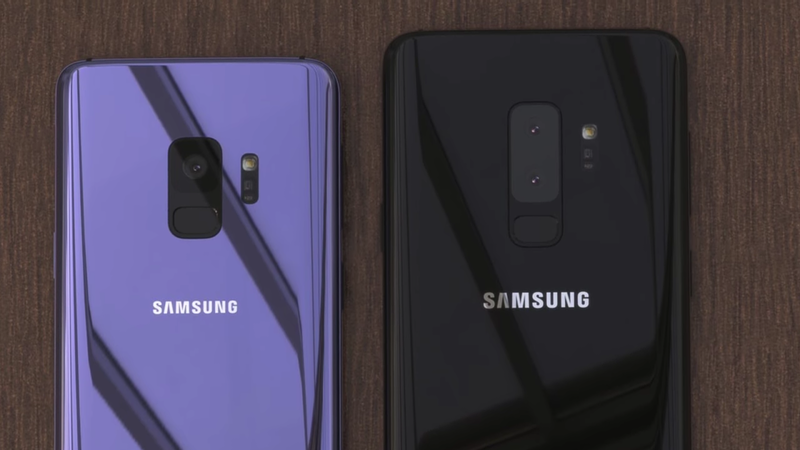 In this aspect too, Samsung is giving us multiple choices to choose from, the S9 will be coming with a 4GB of RAM, but in two different variations, the 64GB and 128GB models respectively. While the S9+ will come with a higher 6GB of RAM, but in three different variations, we have the 64GB, 128GB and 256GB models. For the first time ever, Samsung is giving us a Stereo speakers setup in their devices, which makes me keep wondering why they've not been doing this with their previous devices. But guys, it is here to stay, Apple and Google have been doing it for the past two years now, so it is worth mentioning. TIP: Samsung Stereo speakers are tuned by AKG, with software enhancement from Dolby Atmos, and don't also forget the 3.5mm Earphones jack. For sure the next Galaxy phone will be coming with Android 8.0 Oreo out of the box, with Samsung's own UI, the Grace UI. So since this is coming from Samsung, let's just keep our fingers crossed and wait to be amazed. 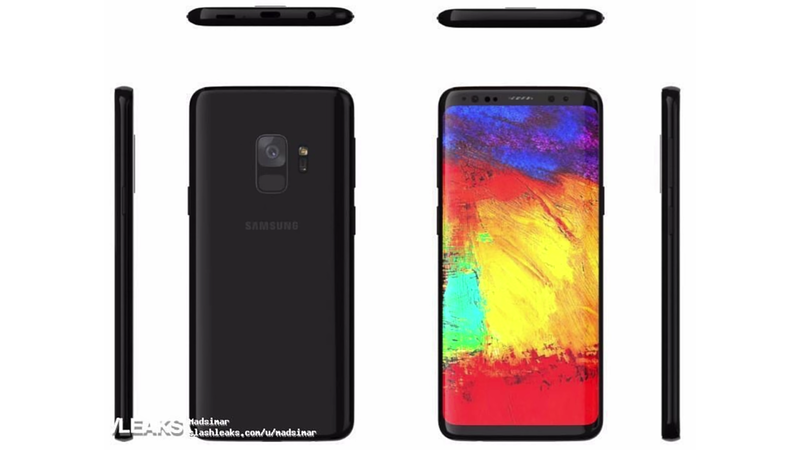 So that is all what we have for the Samsung Galaxy S9, same design aesthetics with the previous S8, upgraded cameras and camera capabilities, more storage options, with the S9+ featuring the most storage, Exynos 9 processor, AR capabilities with enhanced face recognition system, Stereo speakers, 3.5mm Earphones jack and android 8.0 Oreo. Tell us what features you would love to see on the Samsung Galaxy S9, the comments box is down below, don't forget to share this article to get other people's opinion on the upcoming galaxy S9. We will be updating you guys frequently as we receive more news concerning the Galaxy S9, so make sure to subscribe to this blog to get notified of the latest news also Like our Facebook page and Follow us on twitter. Bye and have a very nice day.